In the United States, it is illegal for any person under the age of 21 to possess any alcoholic beverage, except for those who are 18 years or older and are employed by a business that sells, prepares or provides alcoholic beverages to the public, and for those who are 18 years and older and are taking a course recognized by the US Department of Education that requires that alcohol be consumed. Our country has the highest minimum drinking age among every other developed country in the world with the exception of certain countries where alcohol is prohibited entirely. The US national minimum drinking age was raised from 18 to 21 in 1984, but teenagers below the legal age still continue to drink alcohol and get in trouble for it. 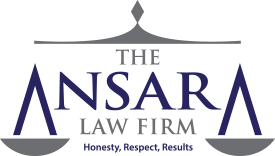 If your child was recently accused of being a Minor in Possession of Alcohol (MIP), call the South Florida juvenile criminal defense attorneys at The Ansara Law Firm today to best protect your child’s future. We have been defending juvenile offenders for over 10 years and continue to successfully help families handle any legal trouble that their children get themselves into. We can file a motion to put them in a diversion program before charges get filed with the State. In doing so, we can get their criminal charges dropped without it staining their permanent record forever. A Minor in Possession of Alcohol charge is a misdemeanor of the second degree for a first offense, and a misdemeanor of the first degree for a second offense. Penalties range from pre-trial diversion classes and court costs, to a fine of $1,000 and up to 60 days in jail. Driver’s license suspension could also be added to an offender’s sentence at the discretion of the judge. To be found guilty of this crime, a police officer must observe that a minor is in actual or constructive possession of an alcoholic beverage. Constructive possession occurs when the offender knows of the alcohol’s presence and exercised dominion or control over it. Juveniles who break this law will be tried in juvenile court, whereas offenders over the age of 18 go to adult court where diversion programs are less likely. A good criminal defense attorney knows that juvenile court is a much better alternative to adult court for those under 18. In juvenile court, criminal records are automatically expunged after completing the requirements as designated by the judge. The statistics show that youthful offenders who are stuck with an unsealed criminal record are far more likely to reoffend than their counterparts who do not receive permanent charges on their record.The State wants to make sure that youthful offenders are deterred and discouraged from committing crimes, however they do not want to criminalize the especially impressionable youth and expose them to criminal culture by taking them into custody for minor offenses like MIP. One of the State’s biggest concerns when it comes to juvenile drug and alcohol offenders is the risk of addiction, so educational classes are a common punishment for these types of arrests. Sometimes, high school and college students will misrepresent their age by using a fake ID, or somebody else’s driver’s license to obtain alcohol. Using another person’s driver’s license or other form of identification to obtain alcohol is a misdemeanor of the second degree, punishable by up to 60 days in jail, a $500 fine and possibly the revocation of a driver’s license. Someone who uses a form of ID that is stolen, fake, counterfeit, or fraudulent commits a felony of the third degree, punishable by up to 5 years in prison, a $5,000 fine and the possibility of a revocation one’s driving privilege. Law enforcement agencies do not often pursue felony charges on students under 21 trying to get alcohol at bars or liquor stores because they understand that the offender is not trying to falsify their identity for financial fraud or terrorism. Our attorneys have defended youthful offenders in both juvenile and adult courts. We have the experience and the knowledge necessary to protect any juvenile offender’s future from the long arm of the United States’ criminal justice system. If your child was recently charged with MIP or possession of a fake ID, call the Fort Lauderdale juvenile criminal defense lawyers at The Ansara Law Firm today to schedule a free consultation. Our legal team understands that juveniles make mistakes from time to time, and more importantly we understand that juveniles are not defined by their mistakes. Every minor deserves the opportunity to steer their life in the right direction after being arrested. Our attorneys will fight to keep your child in juvenile court to ensure that their record is not marred with a criminal charge. Criminal convictions will follow a juvenile for the rest of their life into adulthood and impede their personal and professional pursuits. Don’t leave your child’s future up to the State- call The Ansara Law Firm today. If you, your child, or the child of a friend or loved one have recently been charged with Minor in Possession of Alcohol in the greater South Florida region, call The Ansara Law Firm immediately at (954) 761-4011 to schedule a free initial consultation to discuss your legal matter.